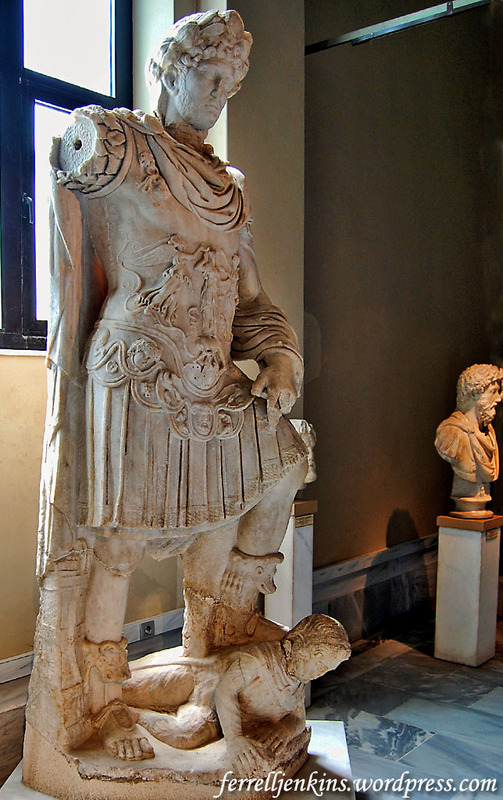 The Roman Emperor Hadrian (Publius Aelius Hadrianus) ruled the Empire from A.D. 117 to 138. Numerous statues of him are displayed in museums spread across the region. Most of them are made of stone, but there are three unique bronze statues of the Emperor. These are on display at the Israel Museum in Jerusalem until June. They come from the Israel Museum, the Louvre, and the British Museum. I have seen all three of these pieces, but look forward to seeing them displayed together in the spring. The most magnificent statue is the one of Hadrian discovered at Tel Shalem (Shalim) a few miles south of the Beth Shean (Beit She’an) in the Jordan Valley. Tel Shalem is thought to be the Salim mentioned in John 3:23. 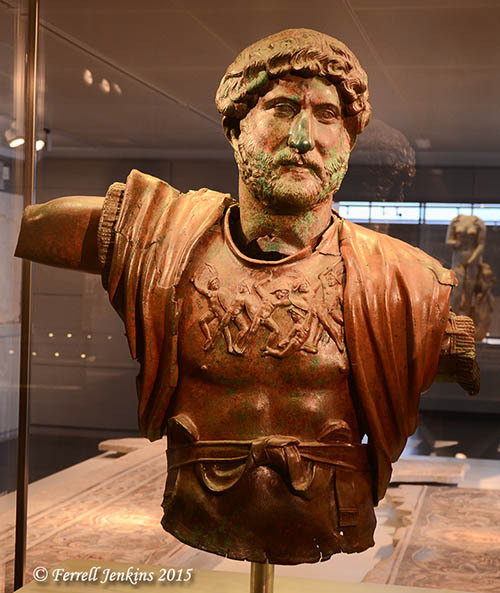 Bronze statue of Hadrian discovered in a Roman army camp of the Sixth Roman Legion at Tel Shalem. He is portrayed as the supreme military commander. Photo by Ferrell Jenkins. Only the head remains of the other two statues. The first of these was acquired by the Louvre in 1984. 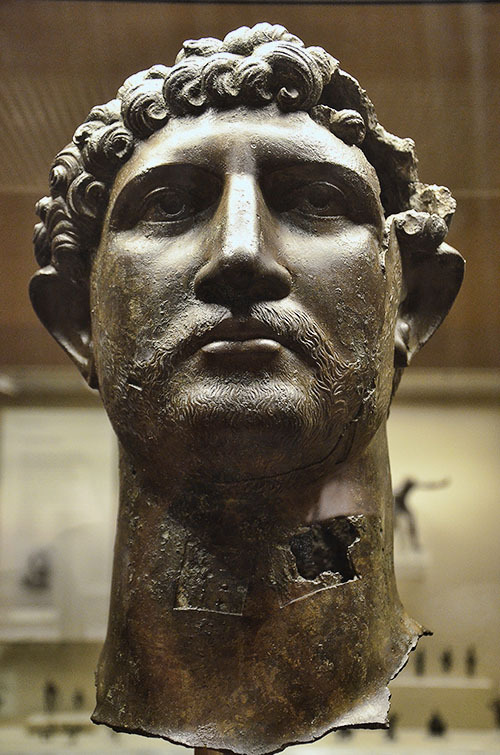 Bust of Hadrian thought to have come from Egypt. Louvre. Photo by Ferrell Jenkins. The next bronze head comes from a larger than life-size statue that is thought to have stood in a public area of Roman London. It commemorates Hadrian’s visit to Britain in A.D. 122. It was found in the River Thames near London Bridge in 1834. This head is displayed in a room of Roman statues in the British Museum, but I have never known it to be open. I arranged to visit the room one time and have a photo but it is not as sharp as I prefer. 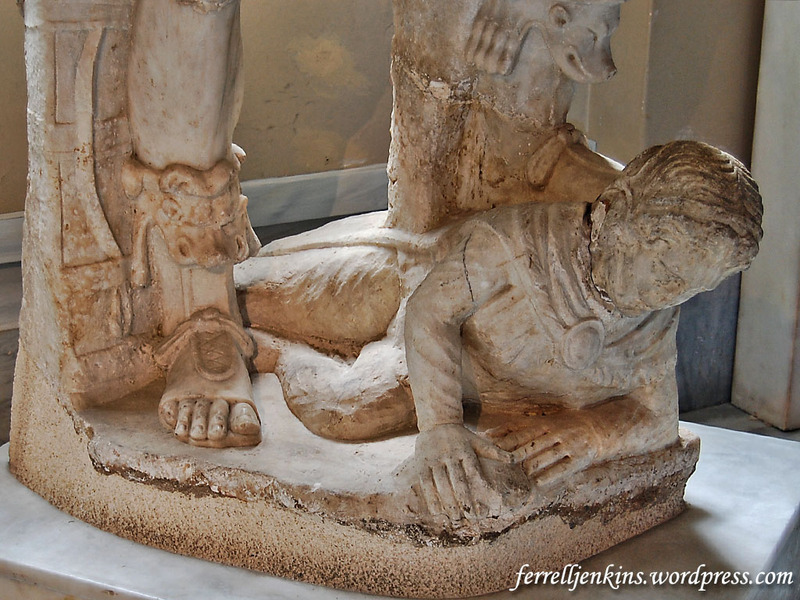 This photo comes from Following Hadrian here. I refer you to that blog and Twitter feed for everything Hadrian. Shmuel Browns, Israel Tour Guide, includes a beautiful photo of the Tel Shalem bust currently on display (outside the case? ), and he presents another opinion about the rebuilding of the city. 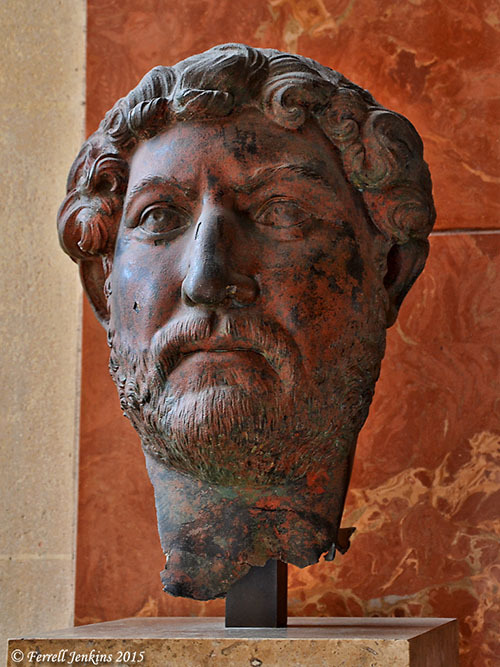 He also includes a list of some other things related to Hadrian that can be seen in and around Jerusalem. See his post here. Information about the exhibit at the Israel Museum may be found here.